How many Facebook profiles are there? Want to know your unique Facebook ID or how many members were signed up by the time you joined? Well, now you can. There is a website called Faces of Facebook that is made by freelancer Natalia Rojas. According to the Faces of Facebook site, pulling all the pictures did not violate any rules or laws and she’s just doing this as a fun project. I think it’s interesting how there are almost 1.3 billion users on Facebook today. What I wonder is how many of these profiles are bogus, double or triple profiles made by users to use for their Facebook games. You can go to the website and link your profile so you can see your personal ID. I tried it and saw that I was the 66,125,920th user. When you load the page it shows a super zoomed out view where all 1.3 billion pictures are shown, then you can use the search function at the upper right part of the screen to look for yourself. We’ve come a long way from people asking me how to “download” the internet. 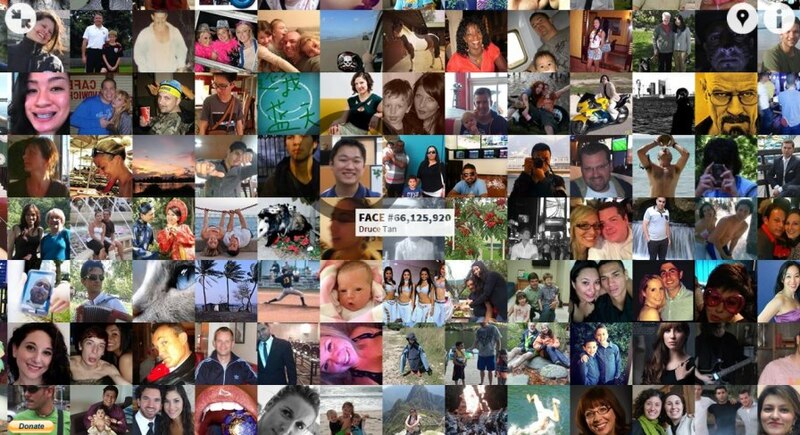 Now there’s a billion people using Facebook. So much information in one place. If they can somehow use this to better the world.